This article is courtesy of renowned portrait and architecture photographer Thierry Dehove. Lea Vendetta is this kind of model you dream to capture due to her energy and her personality. I like her very much, so easy to work with. This photo was taken in Delray beach in Florida, my buddy’s house (I love this handmade iron staircase). With my two Wescott Apollo Strips, I wanted to build a dramatic look while maintaining the glamorous spirit of Lea, the way she was dressed with this amazing Saint Laurent hat in particular. With my two 400w strobe lights at 1/4 of their power trigger with my Elinchrom. I added a 40 degree grid just in the strip soft box facing her about 2 feet slightly on her left to create this beautiful soft light. The second strip is placed at her right at 2:30 pm, just to give a trim light around her and I was hoping to get also some spark in the iron stair. Set up very simple, I was shooting with my Cam Ranger, this way she could place her exactly the way she wanted and see what is happening, this new wireless system improvement so much my work in portrait and in architecture as well. I really like my Apollo, I also bought an ORB (you can see what I did with Lea with just 3 speed lights into this ORB: http://www.thierrydehove.com/2013/03/10/lea-vendetta-octagonal-softbox-westcott-edited-nik-software-color-efex-pro-4/). My favorite and those 2 strips are travelling with me now for all my trips. The umbrellas are built so easy to fold and carry, amazing construction and so efficient. I was looking an ideal rim, hair light or accent light for my composites images and you can mount them in vertical or horizontal, that’s very flexible. Built for speedlights and I have been using with Canon 580 Ex II most of the time. 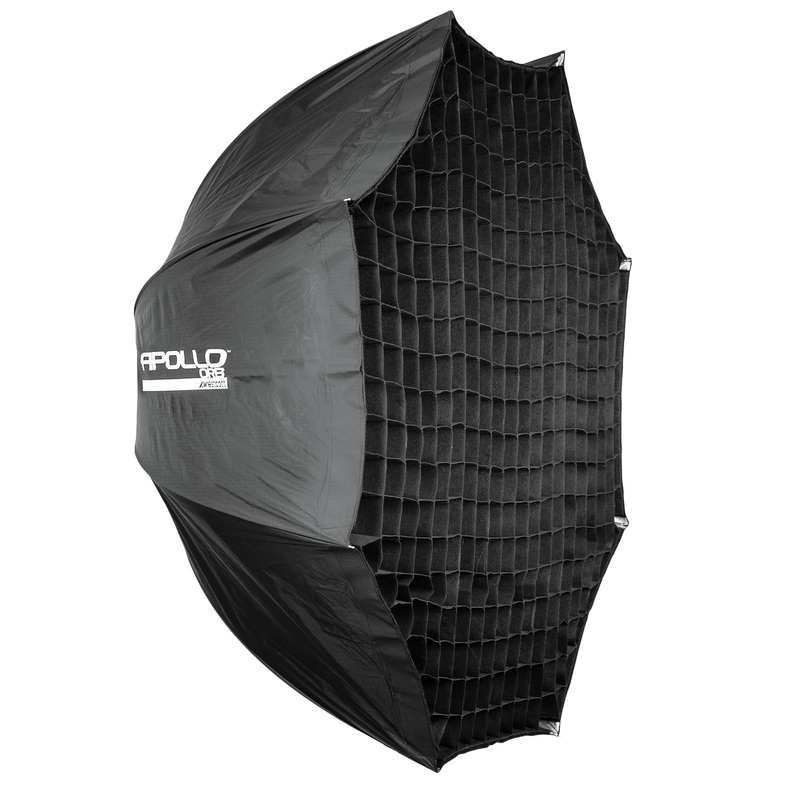 Keep in mind, you can also add a strobe light, the maximum is 500W and keep open the zip to keep your soft box ventilated. 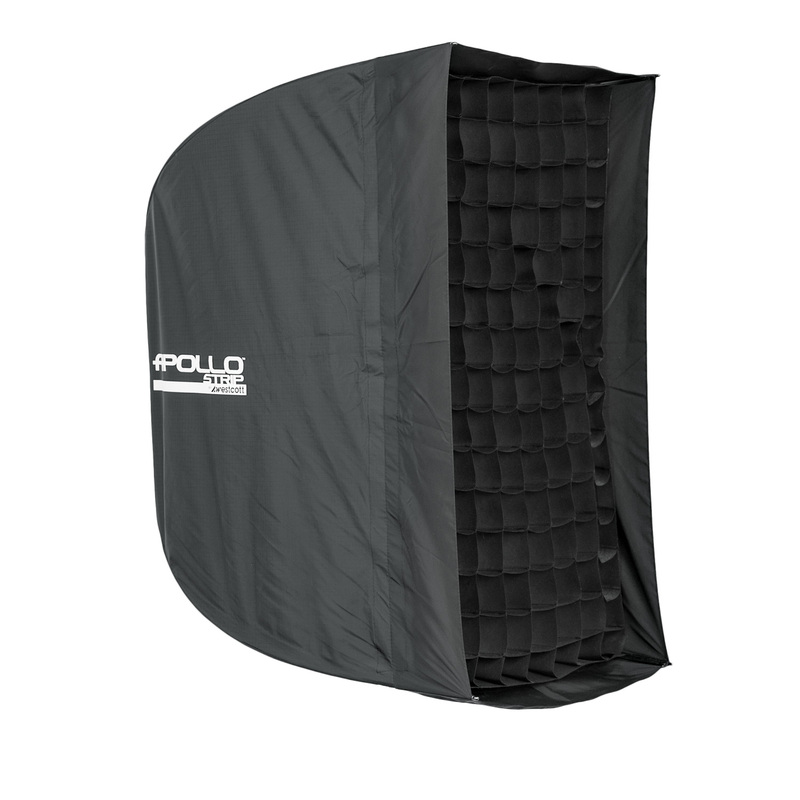 Super light soft box, the weight is 2.0 lbs (0.9 kg) and after to be collapsed it’s W 3.5” x L 35.5” ( 8.9 x 90.2 cm). Cell Phone Photography: It’s All About the Light!